Since my maiden visit to Frantzén in December 2012, chef Björn Frantzén has built himself a small empire on the block between Lilla Nygatan and Mälartorget in the old town of Stockholm. The flagship restaurant has been joined by the following siblings: gastropub The Flying Elk, cocktail bar The Corner Club and wine bar Gaston (all opened in March 2013), and the latest family member is a development kitchen and chef's/kitchen table called Studio Frantzén. 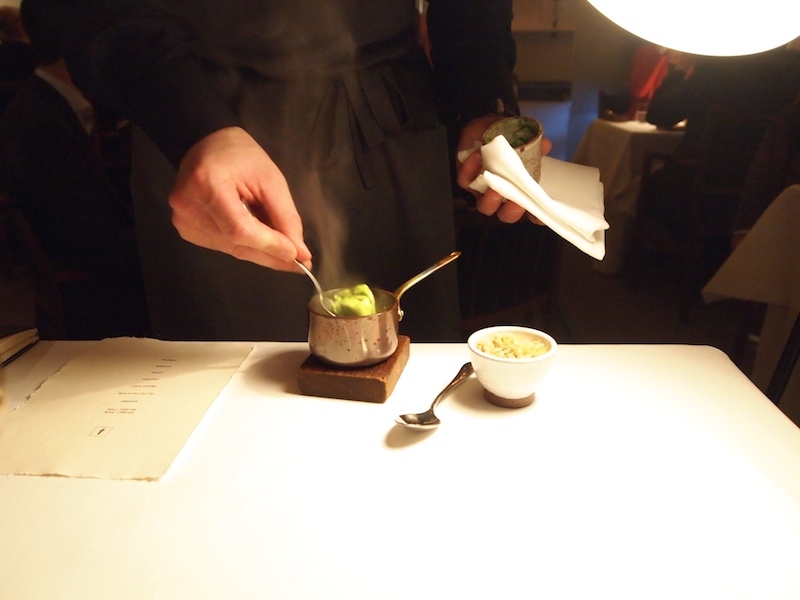 It was not only because of these new openings that 2013 proved to be an eventful year for Björn Frantzen. 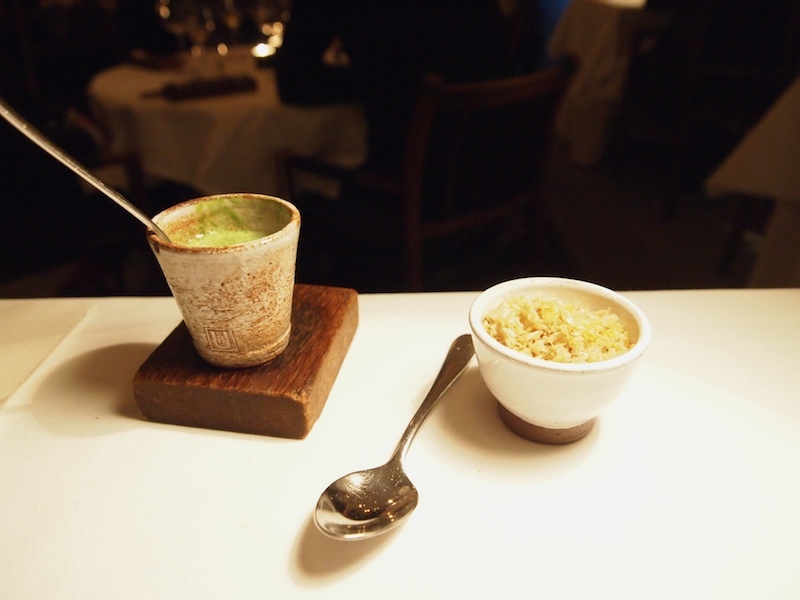 At the end of April the 2013 edition of the World's 50 Best Restaurants list was unveiled. Frantzén/Lindenberg climbed from 20th place to 12th. Two days after the release of the World's 50 list, restaurant Frantzén/Lindeberg issued a press release announcing that Daniel Lindeberg, pastry chef, co-founder and business parter of five years at Frantzén/Lindeberg, was leaving the restaurant partnership to pursue other interests and that the restaurant would be renamed to "Frantzén". Frantzén is open for dinner Tuesday till Saturday and on Saturdays there's an extra sitting at 15.30h. The restaurant offers a single 12-course set menu (SEK 2,200 = €248) and you can choose between a classical or more adventurous (natural) wine pairing (SEK 1,500 = €169) and the restaurant now also has a small wine list. I had dinner with my husband at Frantzén on Friday 28 February 2014 and on the evening of my dinner the menu was divided into Prologue, Appetizer, Bread, Signature, Catch of today, Bird in two servings, Pâtisserie. Dinner kicked off with five canapés ('Prologue'). Earthy-sweet 'mille-feuille' of celeriac crisp, black truffle and chestnut crème and a soft, elegantly sweet blood pancake, topped with a mini quenelle of vendace roe and an apple disc. Followed by an ingeneous take on Vichyssoise; crunchy potato, velvety leak cream and grated black truffle. Then there was pork crackling with pig's cheek rillette and finally a dissolve-in-the-mouth galangal root and pomegranate macaron with a chicken and duck liver crème filling and a cherry crisp. Five visually striking canapés, executed with great precision and all with wonderful texture contrasts. 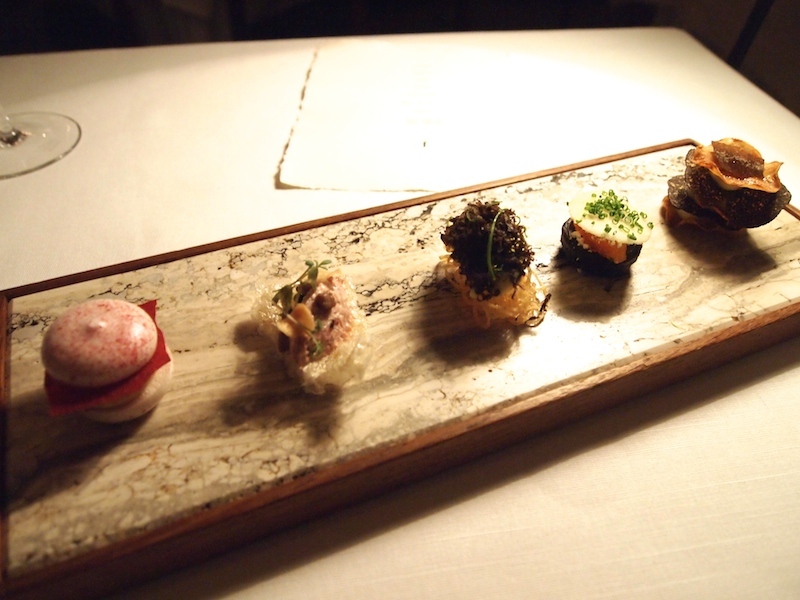 Next up were four amuse bouches ('Appetizer'). 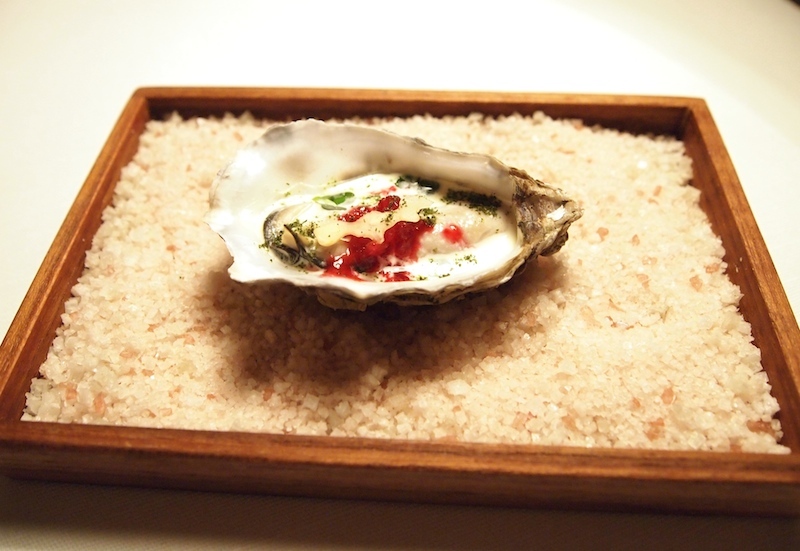 First a gently poached 62°C Brittany oyster, served with a light fir-flavoured cream, a lingonberry granita, pine and seaweed dust, pine oil and garnished with a slice of fresh walnut and crystallised seaweed. Once slurped from its shell, the oyster released wonderful nutty and iodine-rich flavours which were enhanced by the tangy lingonberry granita and the cream gave it a nice silky finish. 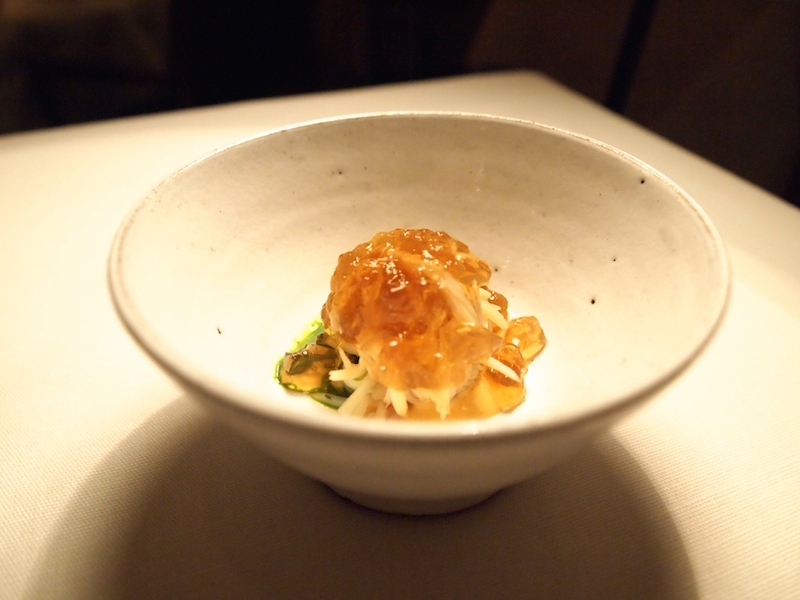 Shortly after the second amuse bouche arrived: Norwegian king crab poached in beer and dill sprouts, served with a crystal-clear crab jelly, an intense brown crab meat crème and a dill essence. Superb, rich and pleasantly sweet white crab meat, its natural juiciness and silky texture creating a wonderful succulent mouth feel; possibly the best crab meat I have ever eaten. The beer and dill had given the crab warmth, without diluting its superior flavour. A sublime dish with beautiful, layered crab flavours, accentuated by the pure dill essence, and again great texture contrasts. 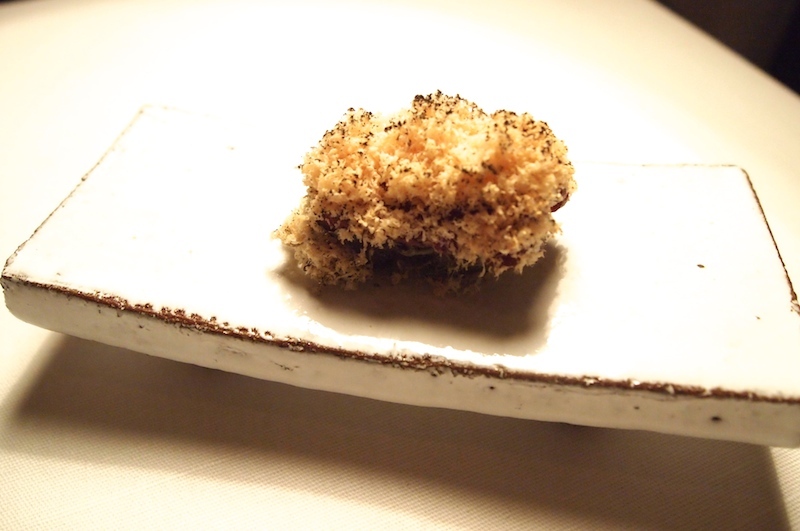 This was followed by a brilliant combination of horse tataki, crisp lichen, chanterelle cream, grated iced foie gras and a sprinkling of dried chanterelles and hay ash. After the initial crunch of the lichen you are hit with an amazingly concentrated chanterelle cream, followed by the silky horse and buttery foie gras and as you bite through this deliciousness you continue to experience the crunch of the lichen. Best of all however was the final amuse bouche of expertly cooked, soft and pillowy bone marrow, served with an incredibly clean, yet most intense smoked parsley puree, which made for a wonderful, bitter contrast for the rich bone marrow. On top of the bone marrow was some Oscietra caviar and there was sour cream, both delivering freshness and a nice temperature contrast. A high-impact dish, rich and intense, yet with a certain lightness at the same time. Time for the 'Bread course'. 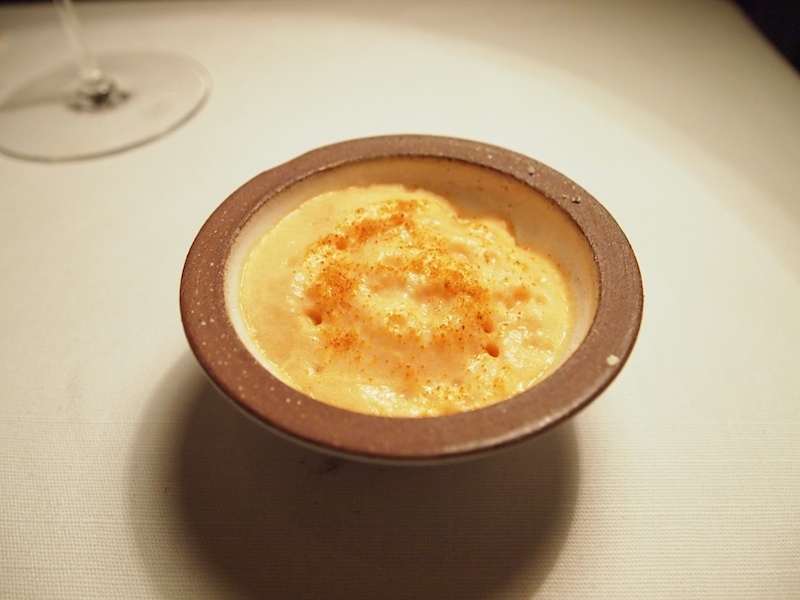 Frantzén used to serve a Josper oven baked sourdough bread in two servings, one early on in the meal, accompanied by freshly churned butter made with Jersey cream and salt and the second later on with smoked brown butter. Since this bread was utterly gorgeous, all guests were scoffing it up like madmen, thus more or less ruining their appetite. 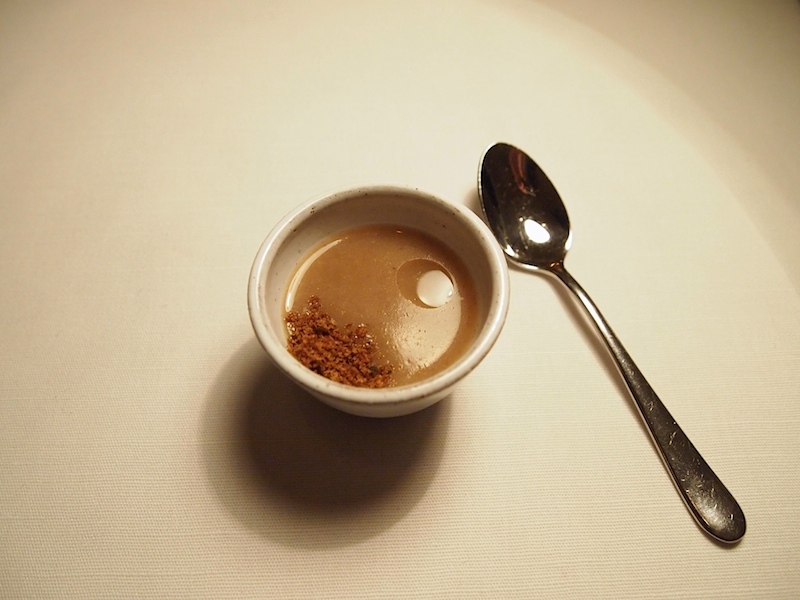 For this reason, the bread has understandably been replaced by an elegant fermented rye soup (made with veal and chicken stock), with some sour cream at the bottom of the cup, some crunchy rye crumbs and a drop of very powerful smoked bacon fat. Lovely nutty-sweet flavours from the rye and the bacon fat added an almost sensual touch to the dish. A clever dish and certainly a worthy successor of the sourdough bread. 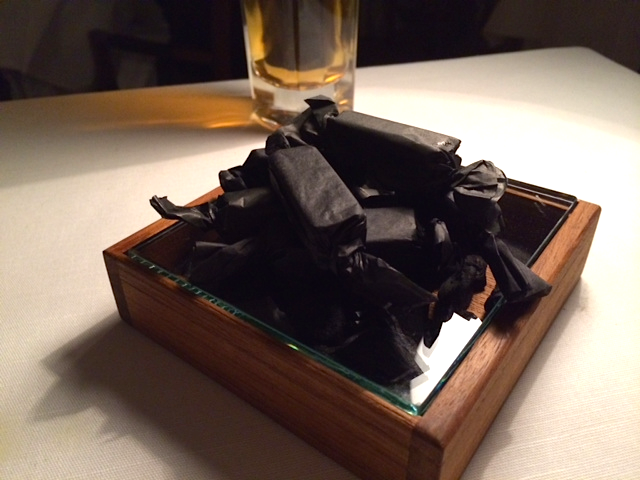 The next two courses were two of Frantzén's signature dishes ('Signature'). 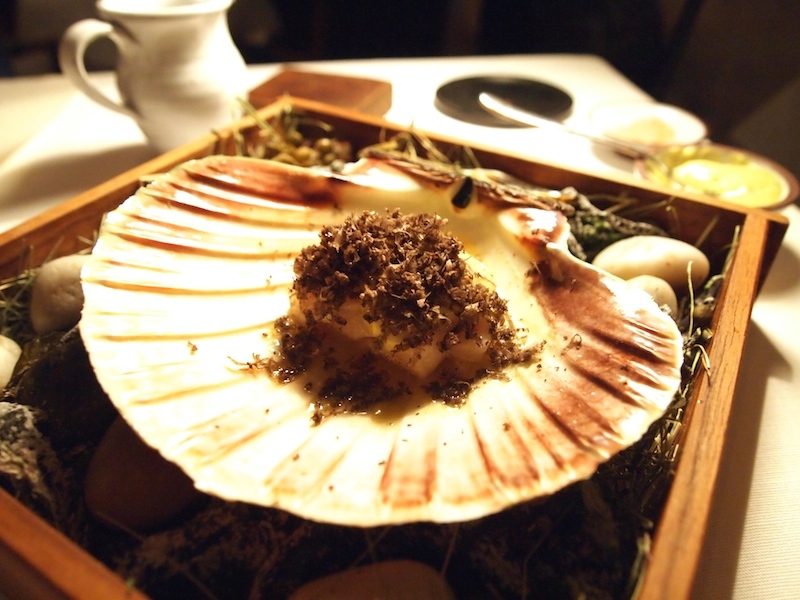 To start there was a tender, mildly sweet scallop (from Itra in Norway), cooked and served in its own shell, this time served with a light scallop bouillon, a sprinkling of dried roe 'salt', a goose egg yolk sabayon and finished with some freshly grated black truffle. A delightfully aromatic dish with a true sense of harmony. The delicate earthiness of the truffle complemented the scallop perfectly and the savoury sabayon, mildly seasoned with chives and lemon zest, added just the right amount of buttery richness. Once I had finished the scallop, it was time for an umami feast. 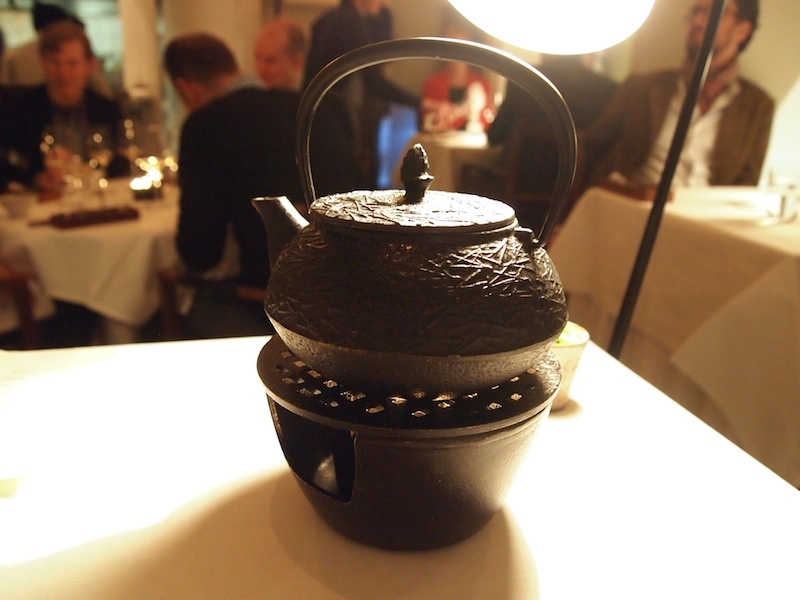 A Nordic dashi stock was poured from a teapot right into the empty shell, which was intented to be drunk straight from it. 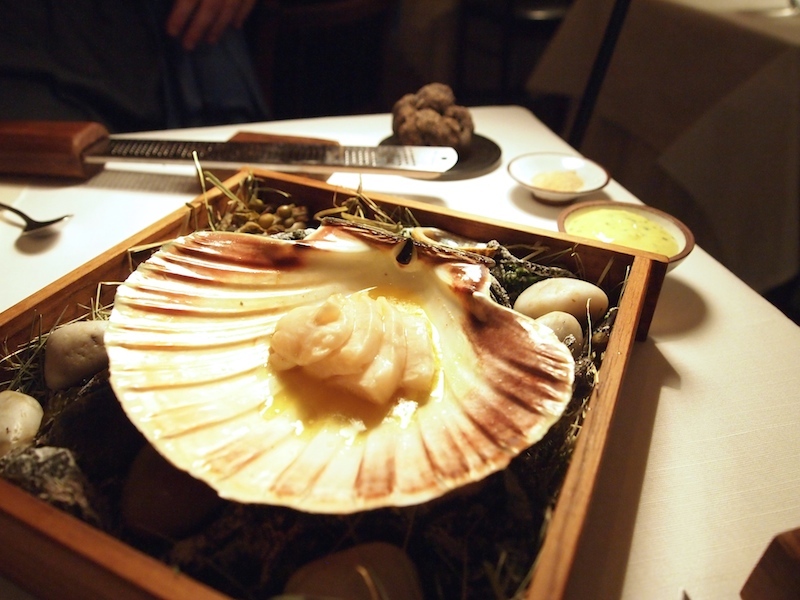 The clean-tasting stock is made with dried smoked scallops, algae, dried chanterelles and ginger. The complexity of the flavours was dazzling; clean, mildly smoky, intense nuttiness, caramel sweetness and a hint of ginger in the background. A feast for the palate. The next signature dish was Satio Tempestas (satisfactory saturation after season). 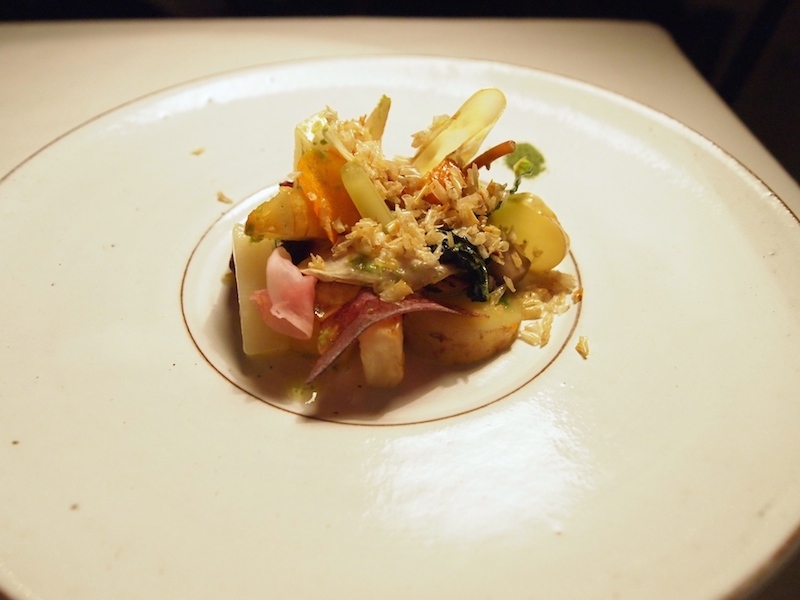 An iconic, daily-changing vegetable dish that has been on the menu since 2009 and may contain up to 43 seasonal ingredients from Frantzén's two vegetables gardens. 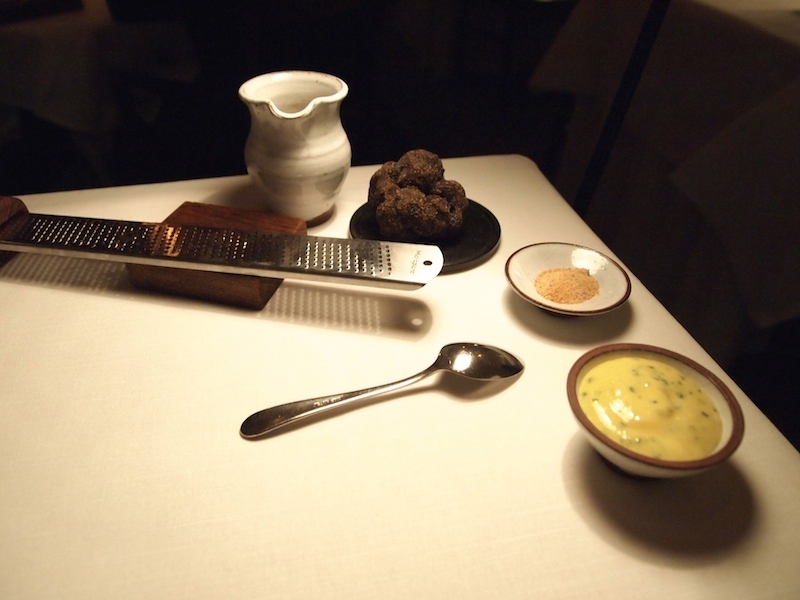 An exact list of ingredients is presented to the diner when the dish is served. This time there were 32 ingredients, which included Anya potato,white and orange carrot, beetroot, celeriac, Jersusalem artichoke, celery and salsify, served and enhanced by Swedish sea salt, freshly made herb butter sauce and a sprinkling of crisp seabream scales for extra crunch. The variety of cooking techniques used in this dish (e.g. fried, roasted, marinated, steamed, dried, pureed) created a wonderful interplay of textures and temperatures. On to the 'Catch of today' - beautifully cooked Skrei, served with roasted onion, crunchy deep-fried onions, winter pear, white wine sauce, delicately flavoured with juniper and a few drops of lemon-thyme oil. During the cooking process of the skrei, the fish is covered with lardo, which results in tender, perfectly moist flesh. 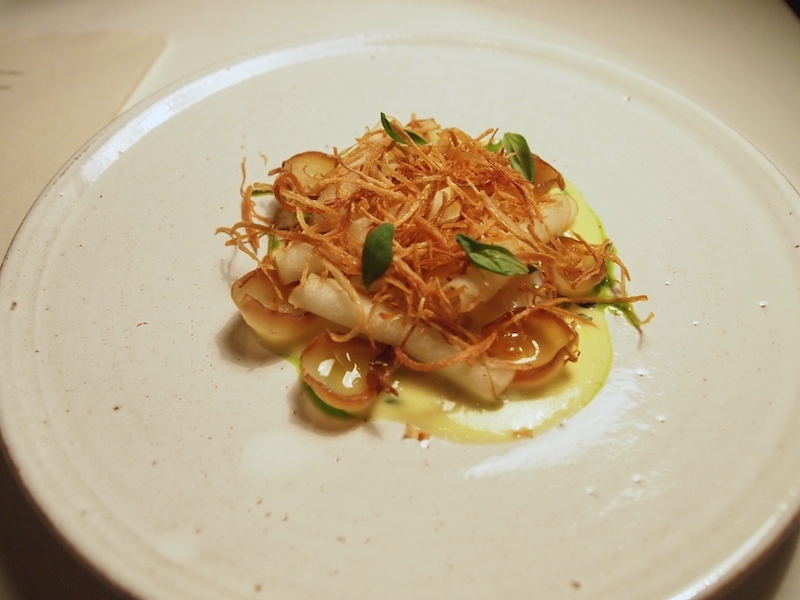 The skrei and onion combination worked brilliantly, but the pear lifted this dish to another level. Loved the build-up of flavours: first there's the soft and slightly salty skrei, followed by the sweetness and bite of the roasted onion, then a fantastic touch of perfumed freshness from the pear and finally subtle caramelised bitters from the crisp onion. Storartigt! This was followed by 'Bird in two servings' - pigeon. 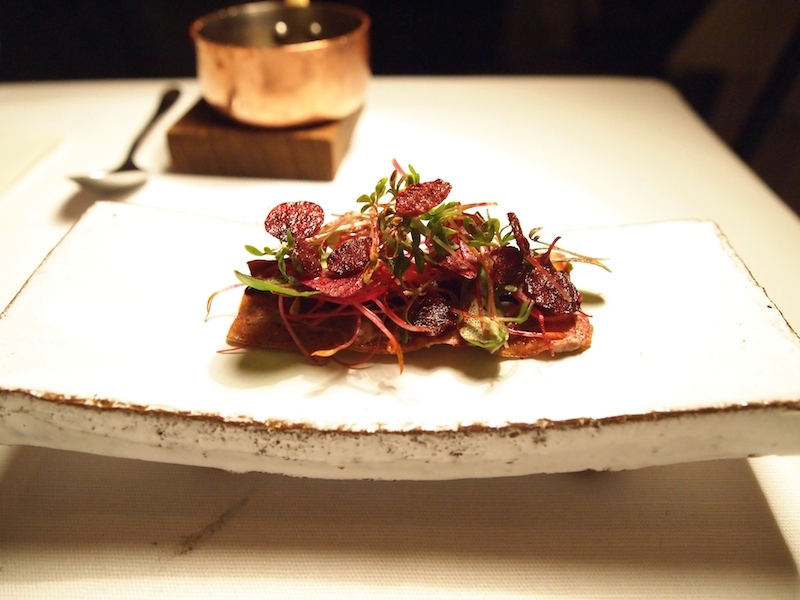 To start there was crisp rye bread, covered with a pigeon liver crème and shredded pigeon leg meat, topped with a fresh herb salad and crisp mini beetroot discs. Wonderfully creamy but distinct liver flavours and the presentation was marvelous. 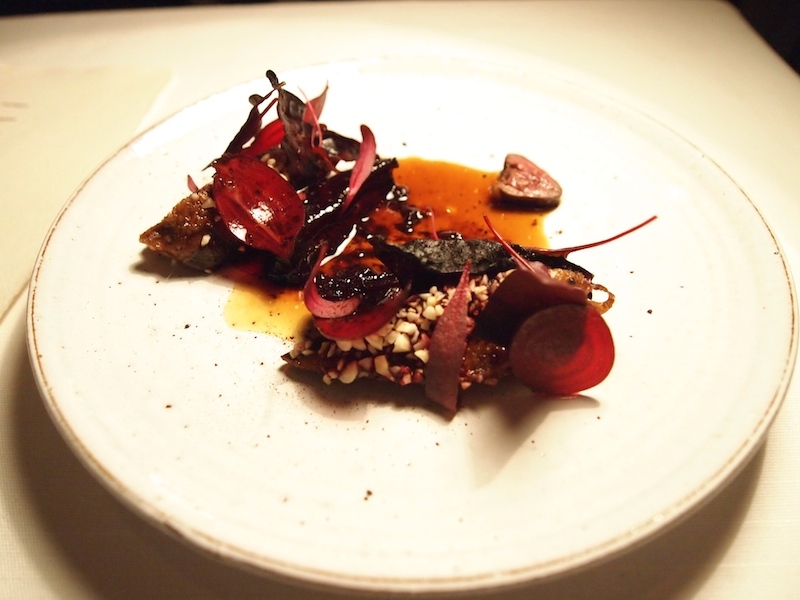 Subsequently we were served tender, flavoursome pigeon breast (covered with finely chopped almonds) and pigeon heart, served with braised beetroot, liquorice powder, blackberry puree, dried beetroot and an intense jus, sharpened with 50 year old Balsamic vinegar from Modena. This was quite a hefty dish with rich and sticky flavours, slightly balanced by the acidic tang in the jus. The liquorice really enhanced the pigeon and beetroot, however in the end it was quite a dominant flavour. The meal ended with two exquisite desserts ('Pâtisserie'). First a dish called spicy orange: rosehip marmalade, sea buckthorn ice cream and carrot foam, sprinkled with chilli powder. An exciting combination of sweet, floral and spicy flavours, with a nice touch of acidity. Great variety of textures too. Then there was crème patisserie, pleasantly flavoured with lemon verbena, covered with a mixture of birch bark crumbs, a few drops of birch oil and pine oil and finally some gorgeous fresh and clean-tasting pine ice cream, garnished with fresh herbs, including lemon verbena and lemon leaves. Just my type of dessert, it ticks all my boxes. There's creaminess, mild sweetness, toastiness, freshness, and in this case a lovely herbal liquorice touch. Fermented garlic fudge (to go with our coffees). 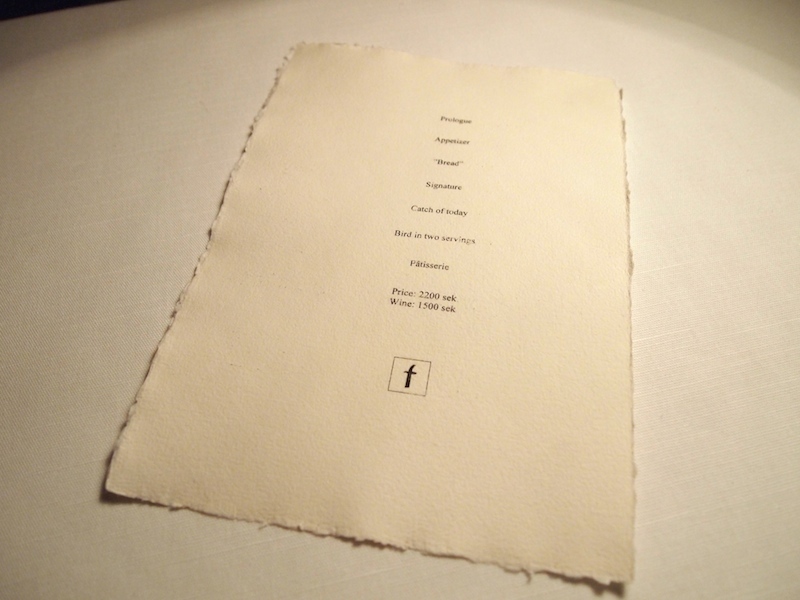 This was a very carefully designed menu, a meal in which the excitement builds. 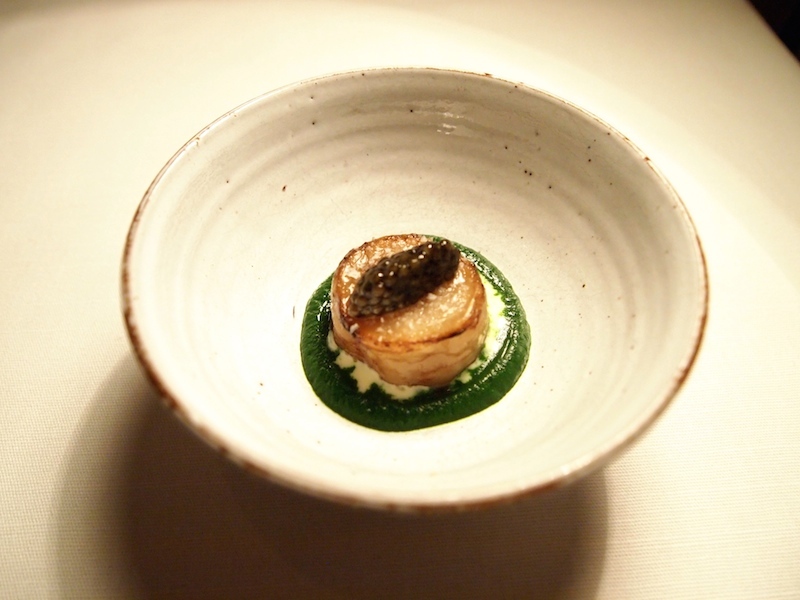 The creative rigour of Bjorn Frantzén and head-chef Jim Löfdahl is exceptional, yet it speaks in a soft voice. Theirs is an intrinsical approach, in which everything is focused on enhancing the main ingredient and on giving it space to shine. Ingredients speak louder than techniques in their cuisine and the dishes are a magical blend of intelligence and charm. Compared to my last visit the menu was more compact, but it was very coherent and complete at the same time. Like a film director who deletes scenes because they are not required to tell the story, Frantzén and Löfdahl now need fewer dishes to get their message across. 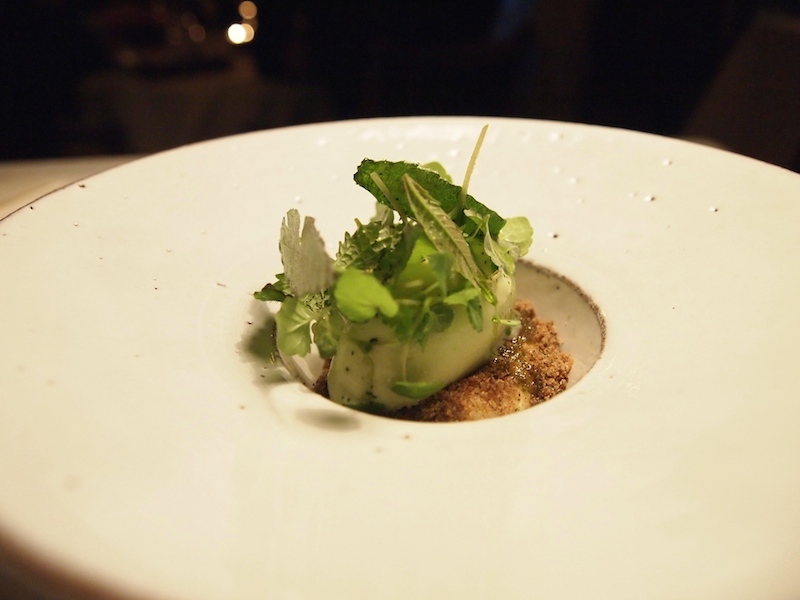 There was a real sense of connection in this rhythmical and serene menu and its linearity made for a very intense experience. Next week the 2014 Michelin Main Cities of Europe guide will be published and rumour has it that the inaugural edition of a Michelin Nordic Guide will see the light of day too. However this may be, in either or both of these books, and in my book certainly, Frantzén should be worthy of the highest accolade.